Your stores’ success is dependent on open and honest communication within your organization. When everyone is on the same page, important changes can happen to improve your financial performance. 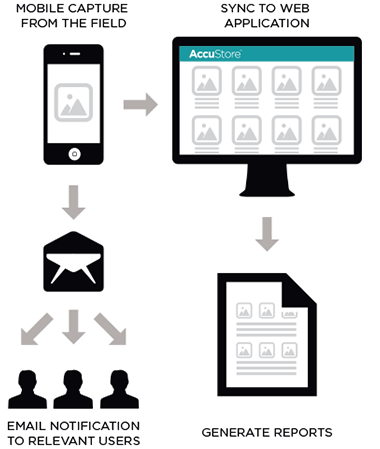 AccuStore allows corporate, operations, marketing and district managers to see all your stores the same way so they can better understand what each store needs. This is accomplished with a broad base of features that centralize the way your retail organization communicates about your stores. Having all your data in one place that is easily accessible and updated on mobile devices improves your competitive edge in the marketplace. 58% of retail executives believe they could improve bottom-line profit by eliminating waste with accurate and complete store level information. When corporate needs to know information about the stores, they have a centralized communication system that knows who can get that information for them. When your stores have an issue that needs attention, they also have the same centralized communication system that knows who can supply them with the resources needed for that specific issue. 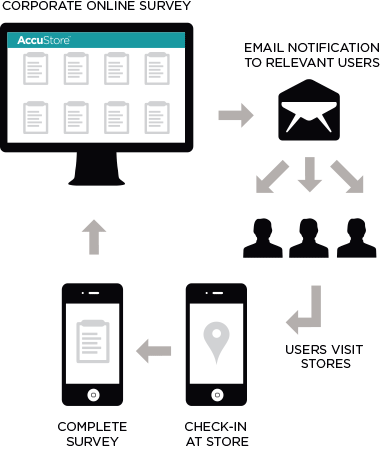 AccuStore provides your retail organization with a store relationship management tool that makes sure everyone is heard because the communication is organized in a way that is easily found and able to be used effectively.